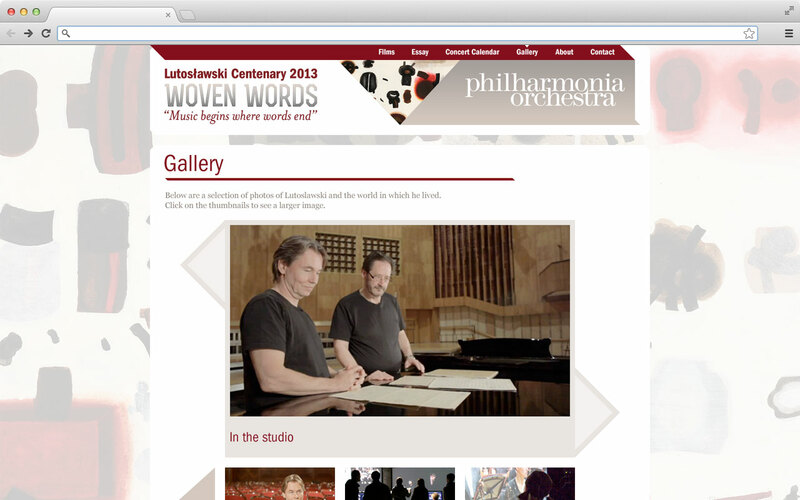 Microsite for the Philharmonia Orchestra’s Lutoslwaski series. 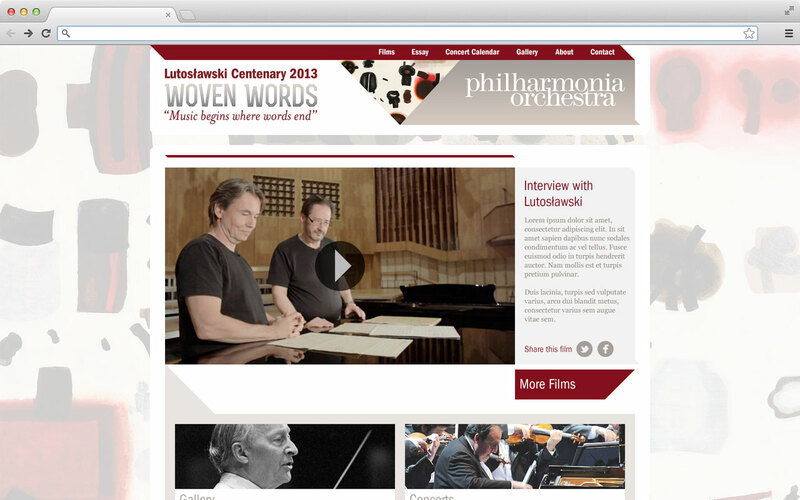 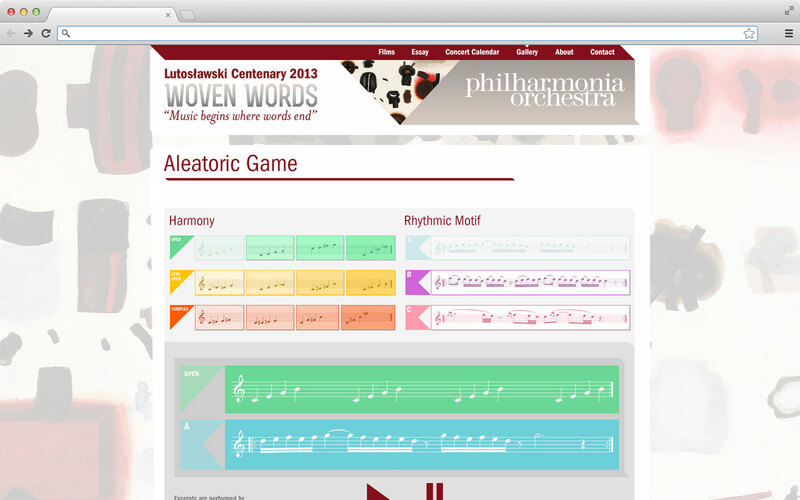 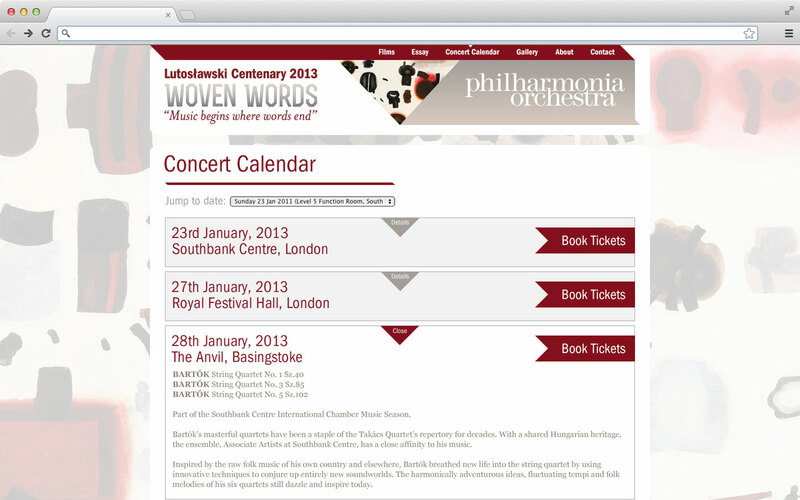 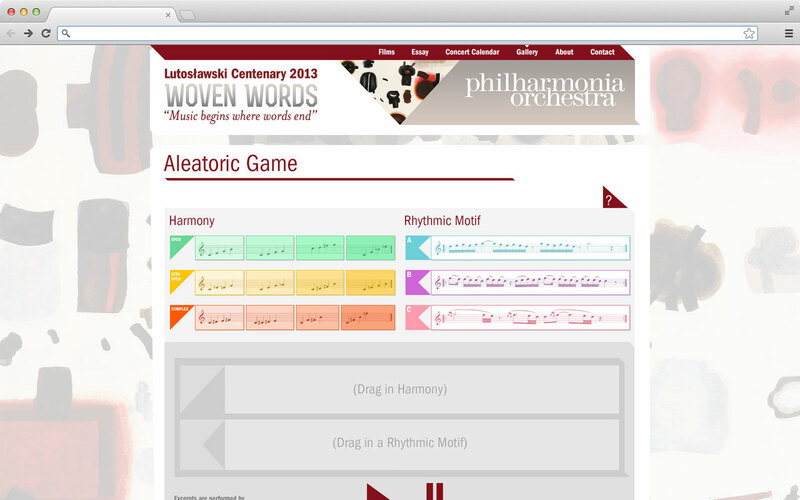 Using the existing print campaign material, I worked with the Philharmonia Orchestra to develop the online presence for the Lutoslawski series, Woven Words. 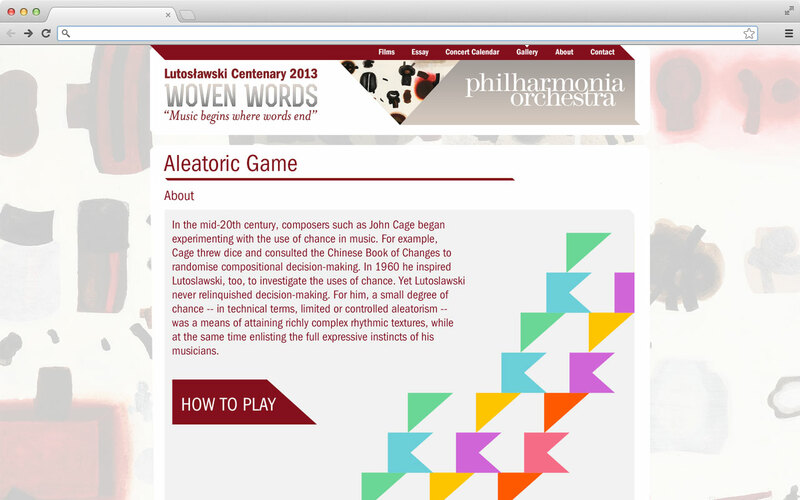 The microsite also provided the space for an interactive musical game, allowing users to develop their own Aleatoric compositions, using pre-recorded harmonies and rhythmic motifs recorded by members of the Philharmonia Orchestra.